Dallas Video by IEBA Communications | Sony installation wireless audio, audio mixing, patch bay compressor and more! Sony installation wireless audio, audio mixing, patch bay compressor and more! Got a big shoot with lots of people to track, then you need something better than a little receiver velcroed to the side of the camcorder. You need professional audio, amplified, directional, diversity antennas. You need easy and quick selection between hundreds of MHz to avoid TV stations, handheld radios, and more RF interference. This is where robust wireless audio systems like the Sony WRR-840 and WRR-820 really shine. 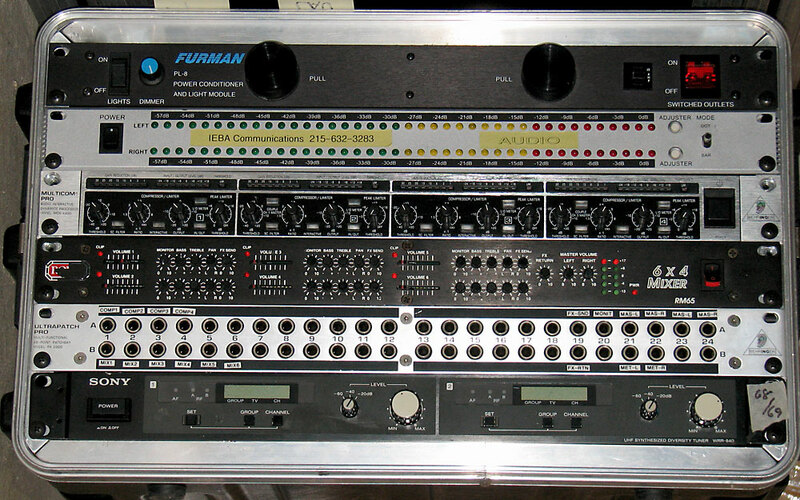 Multiple outputs to feed multiple cameras, mixers, viewers, recorders. Easily adjustable everything. The PLL synthesizer can be tuned between 30 different channels. The compandor system enhances the dynamic range – which exceeds 96dB. Tone squelch circuit eliminates noise. XLR output is adjustable- 60 /-40/-20dB. Multiple outputs from each receiver. Front panel controls for channel select and output volume. True diversity reception for both receivers in the chassis. Antennas are amplified and directional. Powered by the receiver itself. Kit comes with one 2′ antenna run, and one 25′ antenna cable (50 ohm, not 75 ohm video) and a mic stand to mount the second antenna. This ensures that what one antenna can’t hear, the other one can. 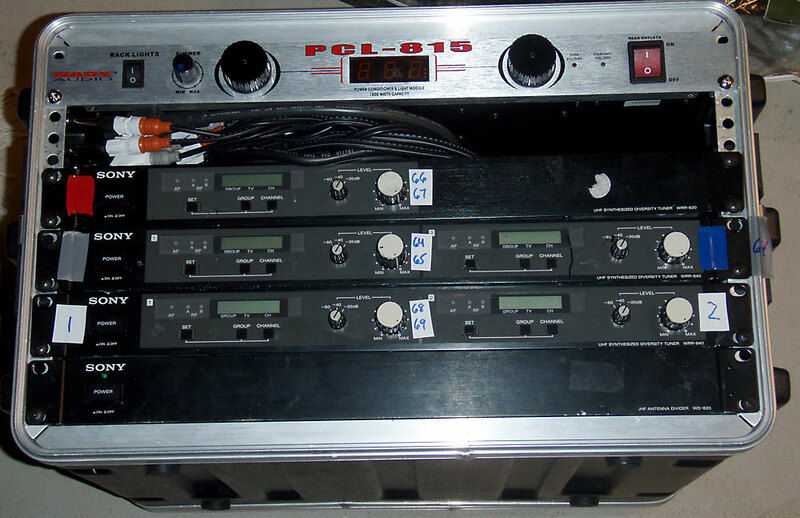 The receivers and microphones are hard wired to channel groups. 64/65, 66/67. 68/69. Transmitters from one group cannot transmit in other frequency groups. All lav heads on the beltpacks are Sony heads. You can provide the mic head of you choice if it works on a Sony beltpack. Sale price: $650 per receiver/mic set.